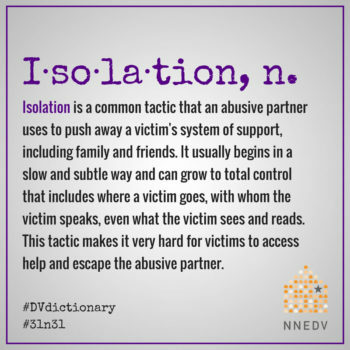 Every October, the National Network to End Domestic Violence (NNEDV) joins with our partners, supporters, and allies across the country to recognize Domestic Violence Awareness Month (DVAM). 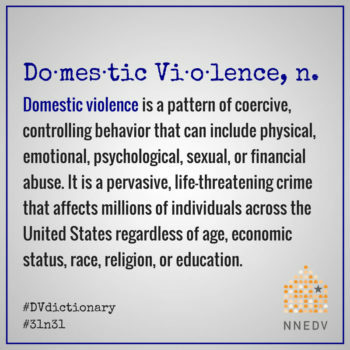 In just one day, nearly 73,000 adults and children received vital, life-changing domestic violence services. Yet on the same day, almost 12,000 requests for services were unmet due to a lack of resources. 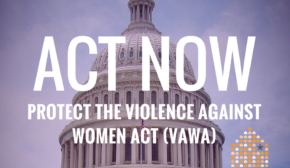 1 in 4 women will experience domestic violence at some point in her lifetime. 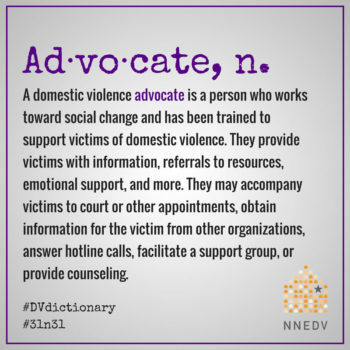 Advocates change and save lives. 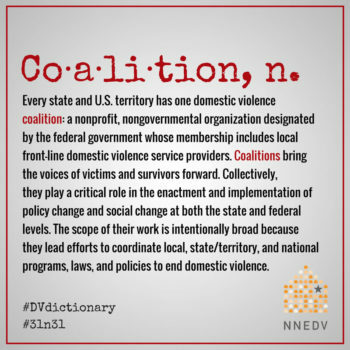 Coalitions are critical to ending domestic violence. 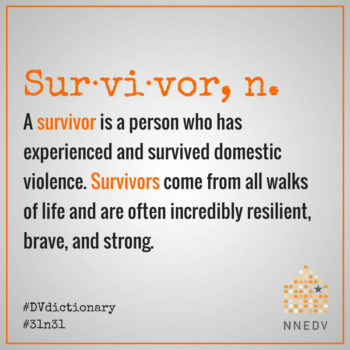 Survivors are the experts on their own life. Trust survivors. Believe survivors. Respect survivors. 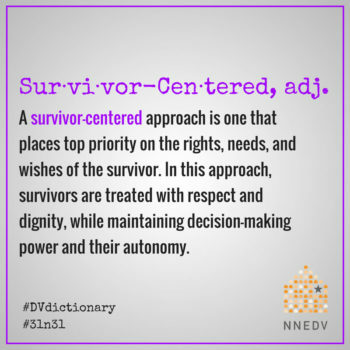 Survivors face marginalization in many ways. The first step to combat it: listen and believe survivors. 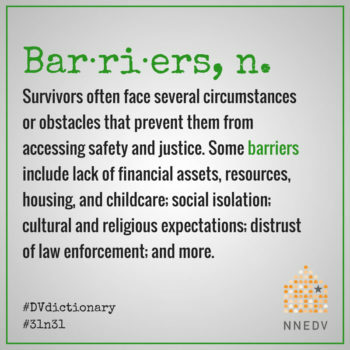 Survivors need a variety of resources & supports to address the barriers they face and negotiate safety. We’re working to ensure that every home is a safe home. 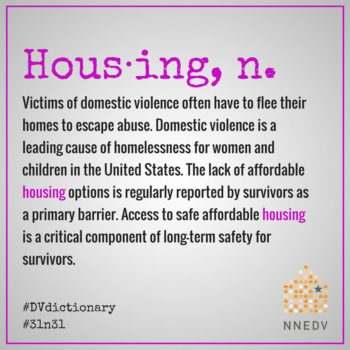 In the meantime, housing programs provide critical services for survivors of domestic violence and are often a key component that allows survivors to flee the violence perpetrated against them. 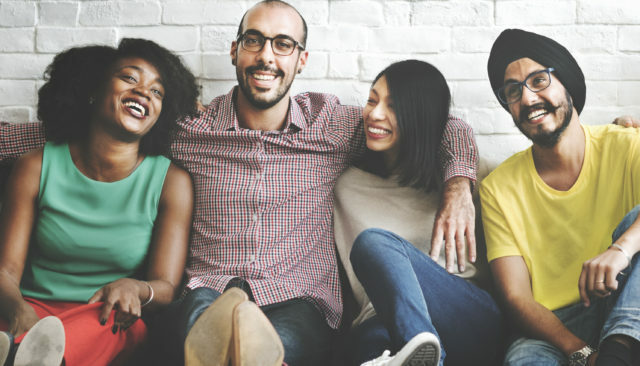 Throughout the country, housing programs vary to include short and long-term housing, rental assistance services, and support services that work to meet the individual needs of survivors. 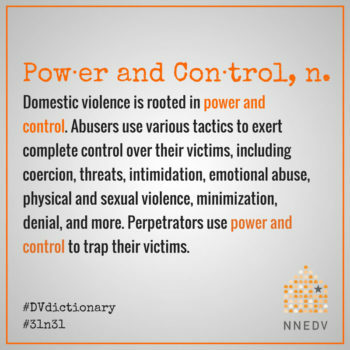 Domestic violence is rooted in power and control. 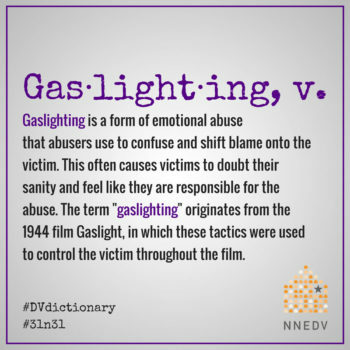 Gaslighting causes victims to feel like they are responsible for the abuse. 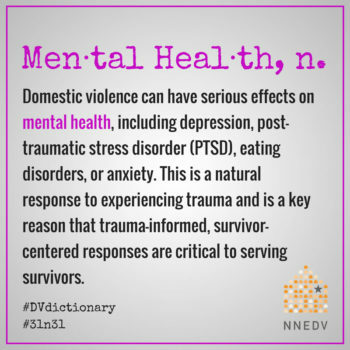 Understanding how domestic violence effects the mental health of survivors can shift the stigma associated with mental health & trauma. 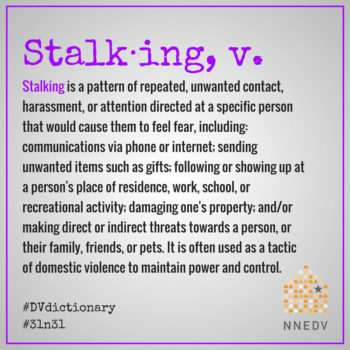 1 in 6 women & 1 in 19 men have experienced stalking at some point in their lifetime. 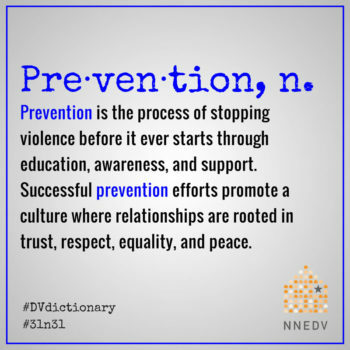 Prevention promotes a culture where relationships are rooted in respect & peace. 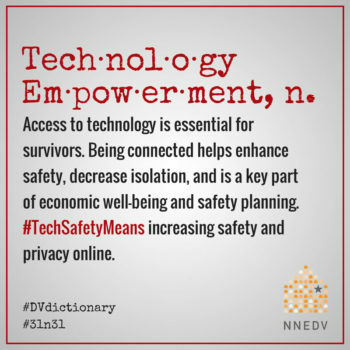 Survivors deserve safe access to technology & online spaces. Sharing sexually explicit images without the consent of the person in the image is a tactic of abuse. 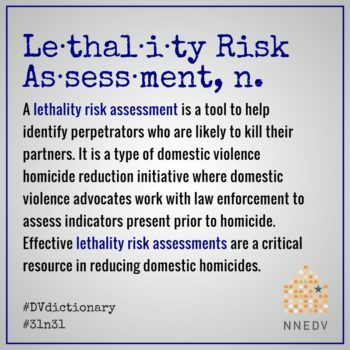 A lethality assessment helps identify risk and take actions to improve safety. 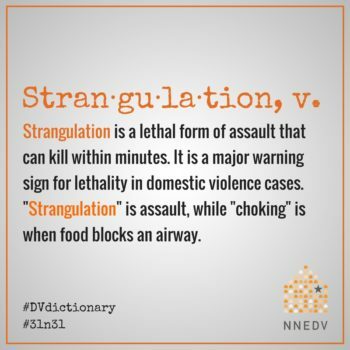 Strangulation is a major risk factor for homicide. 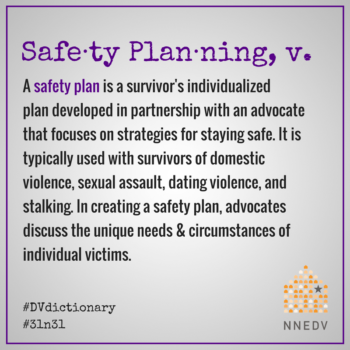 Safety plans should always be developed by and with a survivor. 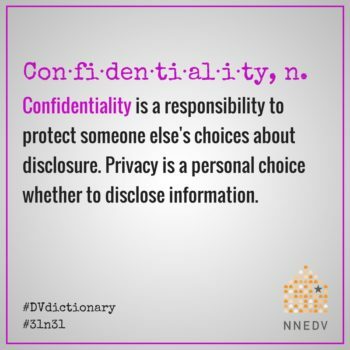 Confidentiality has long been a core element of effective domestic and sexual violence advocacy. 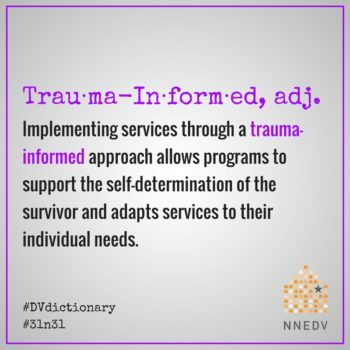 A trauma-informed approach recognizes the mental and psychological effects of abuse. 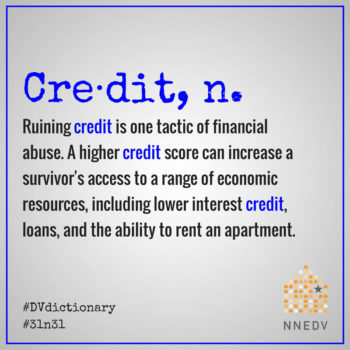 Financial abuse is a tactic in 99 percent of domestic violence cases. 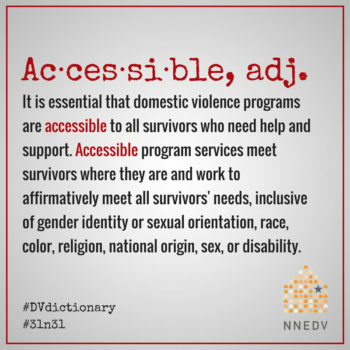 Survivors must have access to services that affirmatively meet all of their needs. 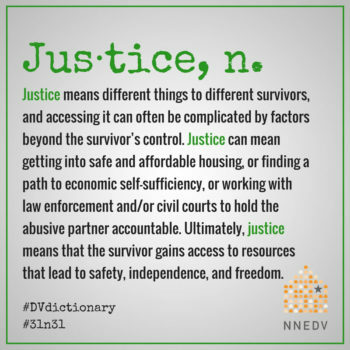 Justice is complex, but it must lead to safety, independence, and freedom. 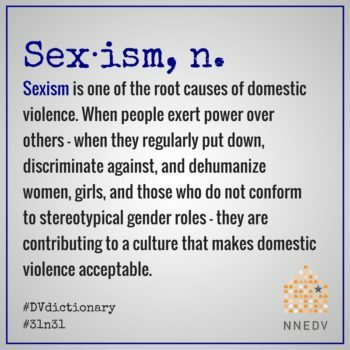 Ending domestic violence includes dismantling sexism. 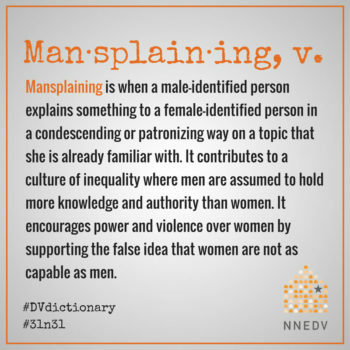 Condescending responses to women’s experiences and knowledge perpetuates sexism. 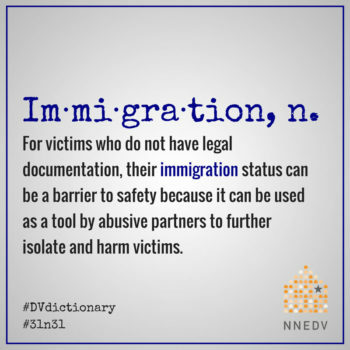 Victims need access to systems of support. 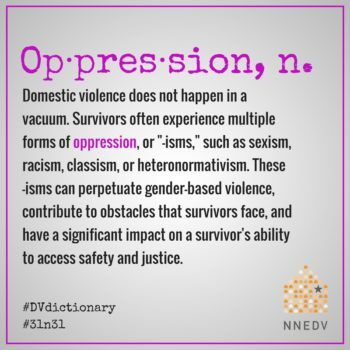 Survivors often face multiple forms of oppression. Each impacts safety & freedom. 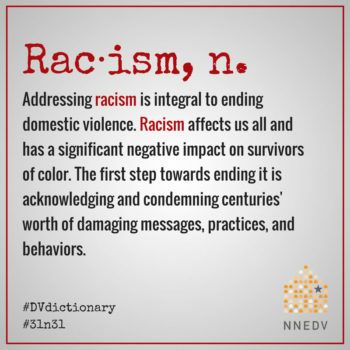 We must name and reject racist messages & behaviors. 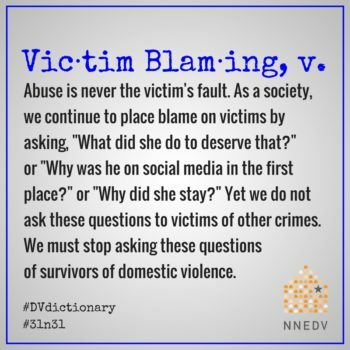 Support for survivors means understanding abuse is never the victim’s fault. 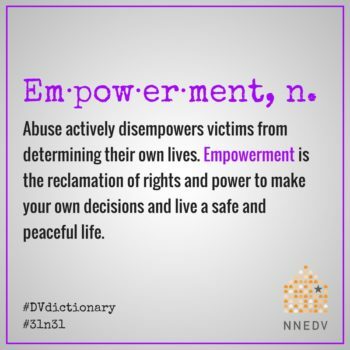 Everyone should be empowered to make their own decisions & live a life free from violence. 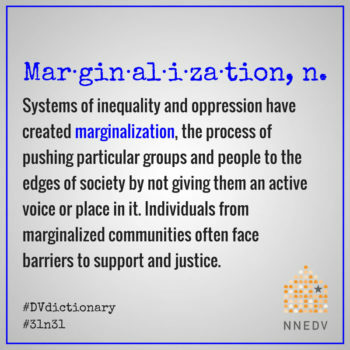 Follow us on Facebook, Instagram, and Twitter, and use our hashtags #31n31 and #DVdictionary, to join the conversation.